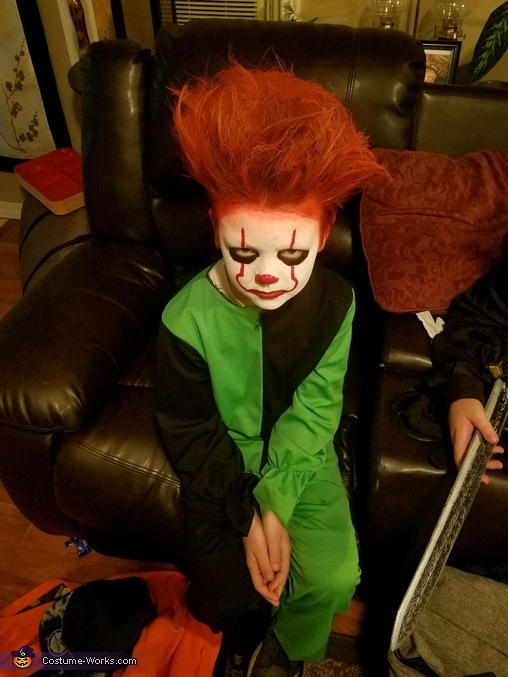 This is a piecture of my 10-year- old grandson, Jordan, who did a creepy job portraying Pennywise. Halloween night was rainy and eerie . . . and his father took the pictures. His dad did his makeup and his step-mom did his hair. A simple clown suit black and green of soft material . . .but covered with a black coat in the first picture. . . and a cold rainy night of trick or treating.